Our journey to Mauritius started with an 11 hour Air Mauritius flight from Heathrow, which sounds quite long but it really did FLY by (sorry)! The in-flight entertainment was somewhat dated and the screens on back of seats were pretty small (my phone screen was bigger to put this into perspective! ), however, the cabin crew were very attentive, and the in-flight food was delicious. If you do rely on the entertainment on board to make your flying time pass and don’t mind a short connection, I would suggest another airline like Emirates who offer great service and good entertainment. They also offer flights from 6 UK airports, which is highly convenient. As soon as I landed into Mauritius my VIP experience truly began! I was met off the plane and escorted to the YU Lounge. No need to wait for my bags or join the lengthy queue to clear immigration. This was all taken care of within the lounge and my bags were collected by YU staff and taken to my onwards transfer. The lounge was immaculately clean and smelt amazing. It had a peaceful and tranquil atmosphere for it’s clients. There was a nice area to freshen up and shower before I enjoyed my fresh fruit platter. I was also kindly shown the departure side of the lounge, which had a great private duty free shopping area! 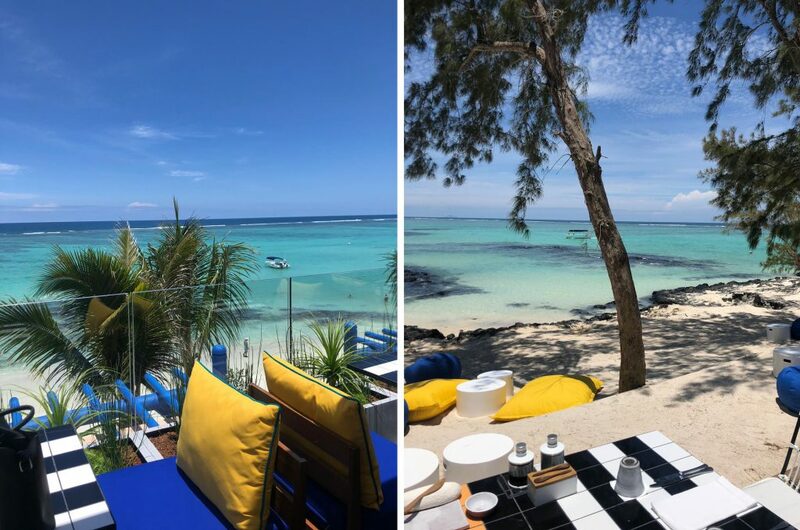 Once leaving the air conditioned lounge, I could really appreciate Mauritius’ winter sun, which got better as I got nearer to the east coast of the island and the first glimpse of clear blue Indian Ocean crept upon me. I was heading to the One & Only Le Saint Geran. I was absolutely blown away by the luscious green grass and palm trees that surrounded the hotels lagoon as we pulled up to the entrance, which had views straight through to the beach and ocean. After my first night at Le Saint Geran, as much as I wasn’t ready to leave, I was eager to see what a more boutique style hotel had to offer and the Seasense really did impress! The small 50 room hotel overlooked a stunning white powdery sand beach with clear blue waters that I could see my feet through. 1 restaurant providing continental breakfast and a la carte lunch and dinner – amazing food! On the second night the of 5-star VIP trip, I travelled up to the north of the island, to Lux Grand Gaube. Once again the entrance of this hotel had the wow factor and at first glance you could notice that the hotel was newly renovated. The first restaurant I visited for a welcome drink was modern and painted in vibrant colours. It almost made the hotel feel like a beach club. This was also the first hotel that felt busy, which made a nice change and gave the hotel more of an atmosphere through the day and especially the night. There was a real mix of clientele staying at the hotel, from young couples, families and older repeat guests who return to the hotel every year and the hotel really did cater and entertain all of them! Lux Grand Gaube – check it out HERE. Peruvian restaurant where all meat is from Peru or Argentina (not included in half board package). This restaurant attracts a lot of customers from outside of the hotel. Funky touches like a red ‘phone home’ phone box and paint brushes to brush sand from feet. After Lux Grand Gaube, I headed back to the east coast to a very different style of hotel to any of the properties I’d seen before. This hotel was called SALT of Palmar and at first glimpse, the hotel seemed like a very funky hotel. The building structure itself was quite dated and the entrance did not have the wow factor like the hotels I’d see before but the décor and refurbishment brought the hotel to life. Soon after entering, I was advised that SALT was a wellness hotel and the further my site inspection went on, features within the hotel made this very clear. The rooms were very modern and bright and did not feature a TV. 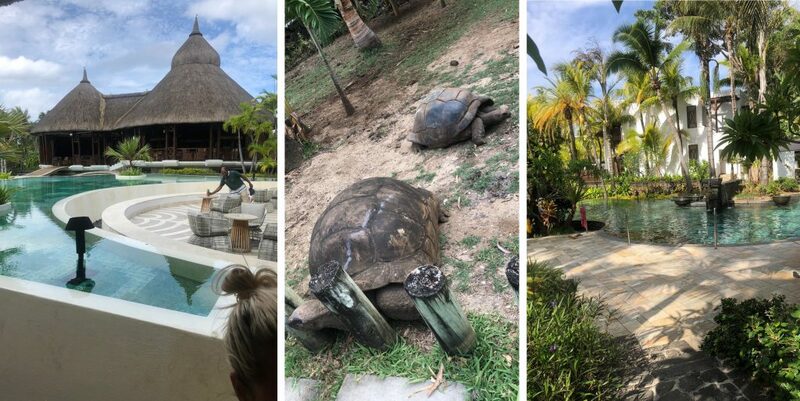 This was to encourage guests to spend little time in their rooms and get out and about to either explore Mauritius or take part in the hotels activities, such as yoga and make use of their amazing spa. The spa focussed on it’s use of salts during treatment and had the only treatment room in the Indian Ocean, made from purely salt. The beach that SALT overlooked was absolutely beautiful and picturesque. It was the perfect setting to have our healthy cuisine prepared by the hotel. This consisted of some vegetarian, vegan and meat dishes but all local ingredients – best food in Mauritius! After visiting SALT, the group and I made our way to the fabulous and elegant Shangri La Touessrok. The hotels entrance has quite an Asian look and feel, which led on to the sophisticated, peaceful and tranquil hotel. Whilst the hotel was at full occupancy, all of the hotels facilities were very calm and set upon peaceful grounds. Shangri La Touessrok – check it out HERE. Buffet restaurant, open for breakfast and dinner, which was open to all guests if included on their meal plan. Guests staying in a higher room category (Frangipani) have access to an exclusive restaurant that is secluded from the main hotel building. They can enjoy breakfast and dinner here. Frangipani guests can also enjoy the free mini bar included in their spacious and elegant room. The mini bar was stocked up with popular chocolate, crisps, soft drinks and some alcoholic drinks. There is also a Japanese a la carte restaurant called Kushi and Indian a la carte restaurant called Safran available for guests. The resort has a private island called Ilot Mangenie, which all guests are able to visit on a daily basis. Boats sail from the hotels jetty to Ilot Mangenie several times a day, where guest can enjoy privacy and the islands pizza restaurant. Once checking out of Shangri-La, I headed to Domaine De L’Etoile for a sightseeing day. Domaine De L’Etoile is an adventure park, which offers a range of outdoor activities. Some of these include quad biking and zip lining. 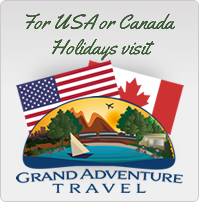 It is a great excursion for families, friends, couples etc. as there is activities for all ages. For lunch on this day, I was able to experience some truly authentic Mauritian cuisine at Escale Creole. This was a very unique restaurant and more of a home visit. 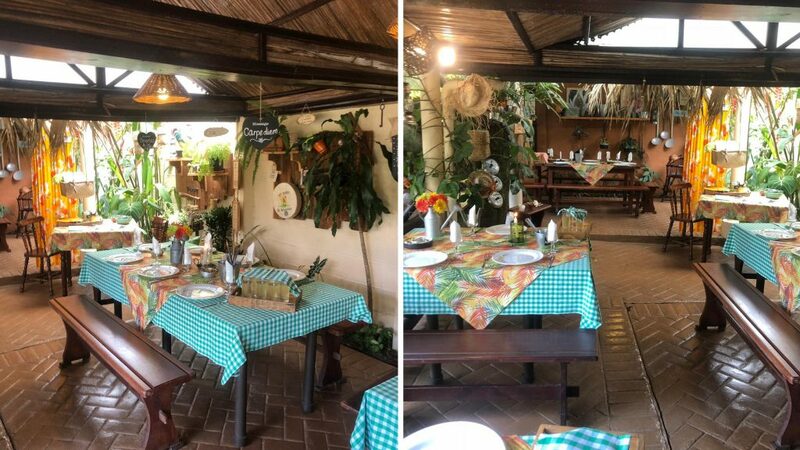 The restaurant was run and owned by a mother and daughter, who set up the restaurant in their beautiful and green garden. The restaurant only serves traditional Creole food and is a must for anyone visiting Mauritius! We then went on to visit the Oberoi Hotel, which was in the north west of the island. This hotel once again had a very Asian style running throughout the hotel and it’s grounds. The hotel rooms offered guests a lot of privacy, especially the villas with private pools – perfect for honeymooners! Instantly, the 5 star service was recognisable and every member of staff made the effort to greet you. The private villas were very spacious and elegant and the bathrooms included a luxurious sunken bath tub for 2 with outside private views. After leaving the Oberoi, I head down the island for about one and half hours to reach the magnificent St Regis in the south west of Mauritius. The bumpy journey was absolutely worth it for this AMAZING hotel. I could tell instantly that it was going to be beautiful from the grand entrance with a breath-taking mountain backdrop. Upon arrival I was escorted through the very colonial style hotel to afternoon tea, where beautiful sandwiches, cakes and unique teas were available. This was situated outside a very grand and French-style brick building. After this and a quick hotel inspection of the grand building and it’s surroundings, I was escorted my huge room by my private butler! These are available to all guests and all room types. There was a very handy button in my room to call my butler if I needed any assistance, such as sending my clothes to be dry cleaned. He even offered to unpack my case! To wrap up my trip to Mauritius, I was lucky enough to visit Heritage le Telfair and spend my final day in one of their private villas. Heritage le Telfair was a very grand and colonial style 5 star hotel. It was a lovely hotel for customers who want that iconic Mauritian feel complete with an amazing postcard picture beach! The thing that stood out for me most was the hotels kids and baby club. There was a quiet and cool room for babies to sleep if their parents were doing other activities. The kids club was complete with a spacious pool, climbing frame and farm animals. The private villas were fantastic and amazing value for money for families or groups of friends. There is a spacious living area and a gorgeous outdoor eating area, great to eat meals you have prepared yourself of prepared by staff. Guests staying in these villas also have access to Le Telfair hotel to use their facilities and restaurants. Overall, my trip to the Indian Ocean was absolutely everything I’d have hoped it would be. Incredible, stylish hotels, clear waters, white sands and amazing service throughout. If you think you might be interested, visit our Mauritius page or contact us and we’ll be more than happy to help! Check out our Mauritius Hotels HERE.